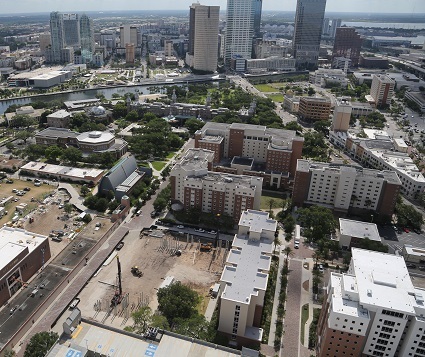 The University of Tampa is constructing a group of new 5-story dormitory buildings on campus to replace existing, older 3-story buildings. The original buildings were demolished, and the new buildings were constructed at the locations of the original buildings. Ardaman evaluated the subsurface conditions using Cone Penetrometer and Standard Penetration Test Soil borings, and determined that Building No. 1 could be supported on shallow footings. However, evaluation of the soil conditions at Building 2 resulted in a decision to support the structure on deep foundations. 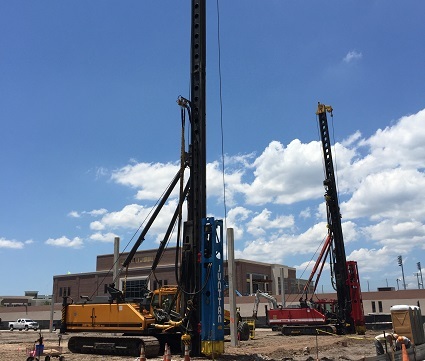 Ardaman conducted the foundation analyses including tension, compression and lateral load performance for the 12-inch pre-stressed concrete piles selected by the contractor. Ardaman also inspected the dynamic load tests on test piles, and developed the driving criteria for pile installation as well as providing inspection of pile installation.